For better meet customers’ requirements of better lighting performance, less weight and easy shipment, we developed a model of LED highbay light in “UFO” shape-B01. 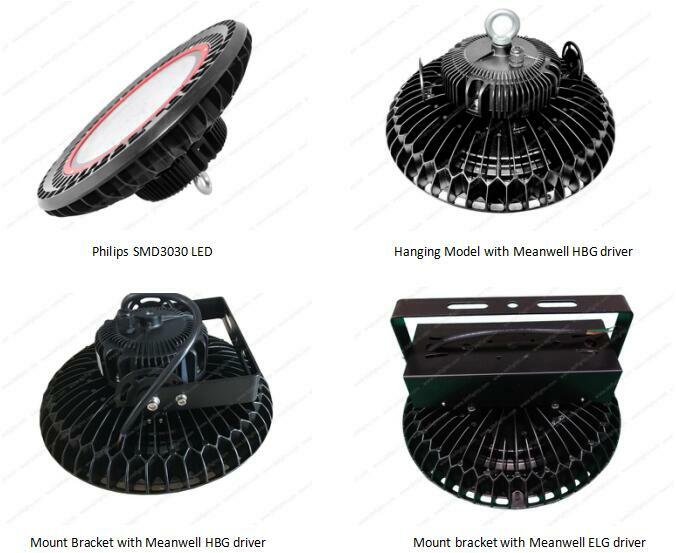 Assembled with brand Philips SMD3030 LEDs, Meanwell LED Driver, this B01 LED light is assured with 5 years warranty. 1) Small package with beam angle 60,90, 120, no need reflectors. 3) Driver is together with lamp, better for wiring and installation. Welcome to inquiry more details!